Todd Hall’s first-course for the American Harvest finale meal consisted of Cakebread Cellar’s Garden goodies including arugula, lettuce, squash blossoms with a Sauvignon Blanc syrup drizzle paired with the 2014 Cakebread Cellars Sauvignon Blanc, but he is actually more of a southwestern and French cooking kind of guy. His favorite meal is John Dory sautéed with brown butter and lemon/rack of lamb. Cakebread Cellars brought in a variety of chefs from around the United States, so I looked for a familiar tie to personalize the experience. Living in DFW myself, I found Hall has ties to the area as well because his daughter lives in the Big D. He spent time in Dallas in his earlier years as the sous chef in charge of banquets at the Anatole Hotel. Hall said the Anatole was a culinary life changing experience for him and he has dedicated two chapters to it in a book coming out in spring. What’s Next For Chef Todd Hall? Nowadays, he is about to open a new restaurant in Tampa called Suegra Tequila Cantina, he said it is the fifth time he is opening the concept in the United States. His bio says he was a child prodigy who started working at age 10 in the kitchen of the small lodge where he lived. He began formal training at age 15 and then was the youngest graduating apprentice chef to earn certification from the American Culinary Federation. It didn’t take him long to end up as the chef de cuisine at Le Parisienne, a French restaurant in Salt Lake City and from there he went on to Dallas at the Anatole. He has moved around a bit working as chef or consultant in Arizona, California, New Mexico, Colorado and now in Florida. He is also well-known in the Boston area because he brought not only Mexican cuisine up north, but also 300 tequilas at Temazcal Tequila Cantina. His last stop before Tampa was La Posada de Santa Fe and the restaurant “Julia”. 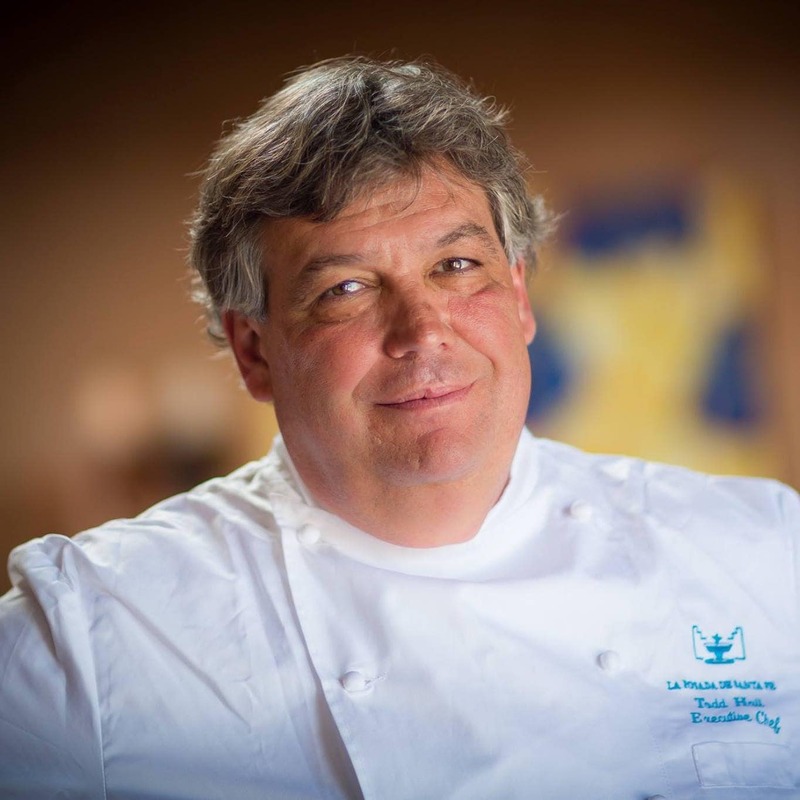 His awards include 1990 Best Hotel Chef in America James Beard Foundation, 1992 Rising Star Chef of the Year Nominee James Beard Foundation and 1990 American Culinary Gold Cup Finalist, to name a few. Those interested in hearing more about his concepts, train wrecks and where his concept might end up (tequila included) after Tampa should read his upcoming “Trampled Underfoot,” which is scheduled for release this spring.